Norton County Road and Bridge is responsible for the maintenance of county roads, bridges, signs, ditches, culverts, shoulders and equipment; supervises the planning, design and construction of road and bridge improvements; reviews and implements federal, state and local rules/regulations covering transportation, storm drainage, subdivision development, floodplain management, land surveying, and other aspects of public works; manages right-of-way acquisitions and roadway construction projects; evaluates land use and traffic patterns and establishes long-range plans. 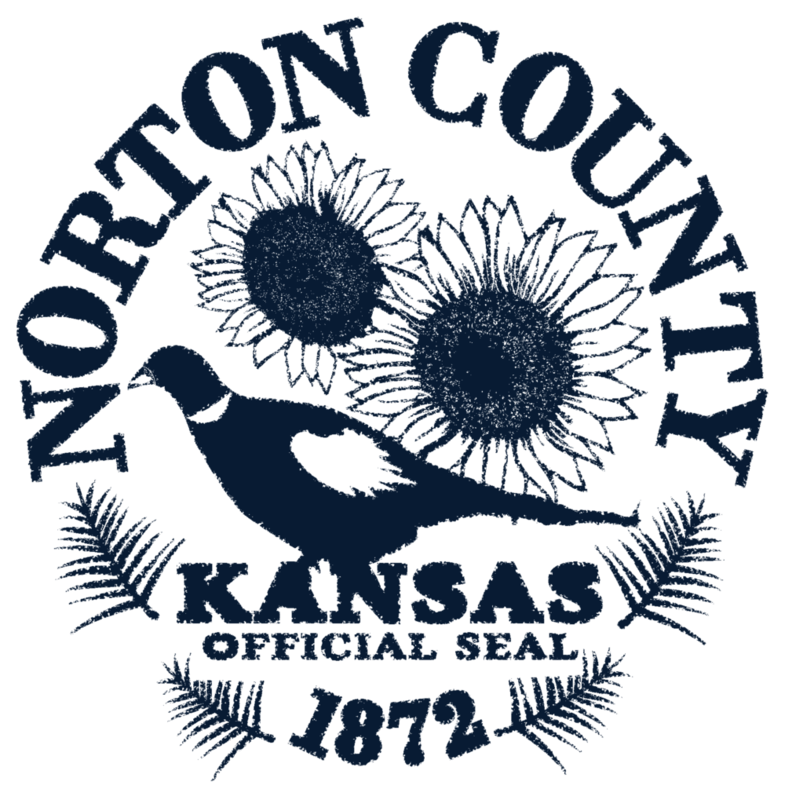 Kansas statute 79-1947 authorizes the Board of County Commissioners to fix a rate of a levy annually for construction, reconstruction, improvements, repair, maintenance and acquisitions of rights-of-way for county roads and bridges. Money collected for road maintenance and construction is placed in the Road & Bridge Fund. Maintenance and construction of county roads and bridges is a high priority for our citizens and county leaders. Statewide, road and bridge expenditures account for about 35 percent of all county-levied property taxes. How are the gravel roads in Norton County maintained? To reduce dust and loose rock on the road surface, only minimal blading of gravel roads is performed during dry weather. This may result in a few more chuck holes and wash board areas. However, the net result will be a driving surface that is safer for the traveling public. The grader operator may windrow loose rock on the road shoulder. Motorists should be careful to avoid driving on this windrow. When we blade our gravel roads we try to wait until after it has rained so they are easier to blade. A good blend of rock, sand and clay makes a good surface material and the clay is cohesive. When moistened the clay becomes sticky and is almost impermeable to water flow and has low strength when wet. The fine sand and fines fill the voids between the larger stones so the mixture can be compacted. If we are adding a new layer of rock (usually 2"-4") to the road we bring our own water and wet the rock mixture as needed during the blading operation. We cut the existing surface 2” to 6” to get a good blend of rock and fines and we ensure that we are creating a crown that is 5” to 7” higher than the shoulders. The crown in the most important design element of a gravel road. The crown improves drainage and ease of maintenance and this degree of slope should drain the surface water without washing off the surface material.